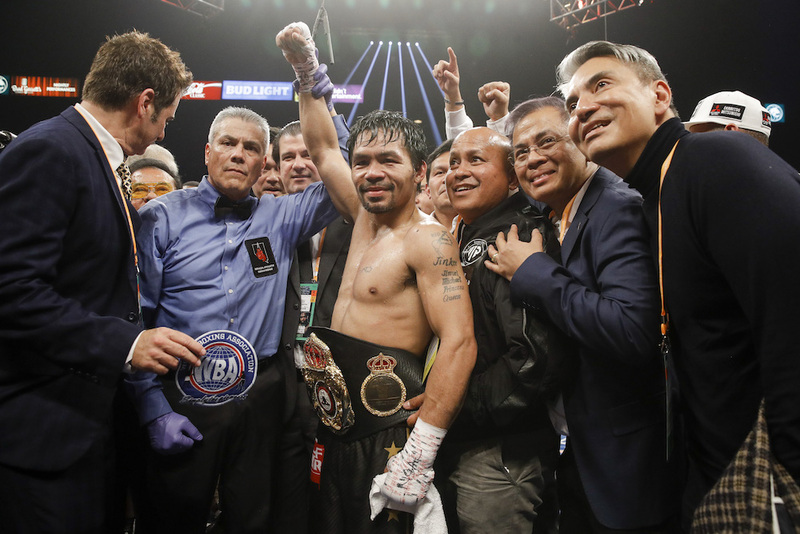 Manny Pacquiao (61-7-2, 39 KOs) successfully defended his WBA welterweight title on Saturday night, earning a lopsided unanimous decision win over former four-division titlist Adrien Broner (33-3-1, 24 KOs), at the MGM Grand in Las Vegas. Broner was much too tentative throughout the fight, as Pacquiao controlled the action with combinations and consistent pressure. 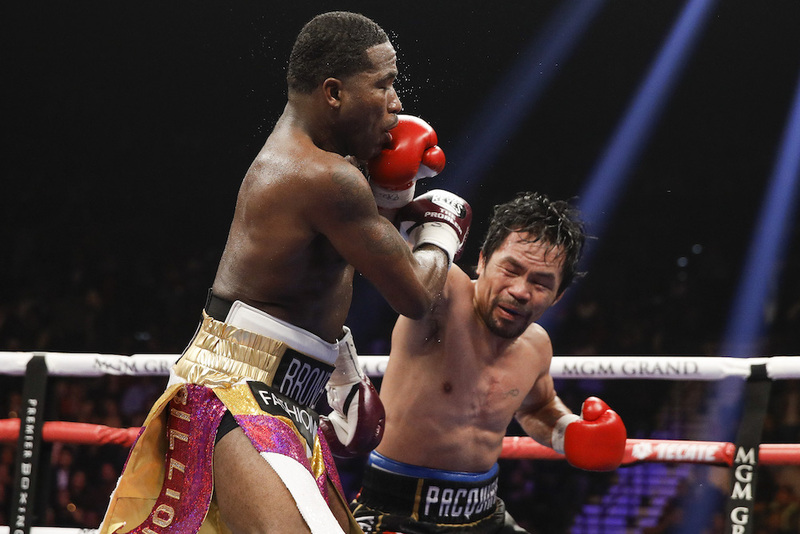 Pacquiao, 40, while no longer as electric as he was in his prime, was still quick and busy enough to keep Broner on the defensive – limiting Broner to single-digit punches landed in every round. 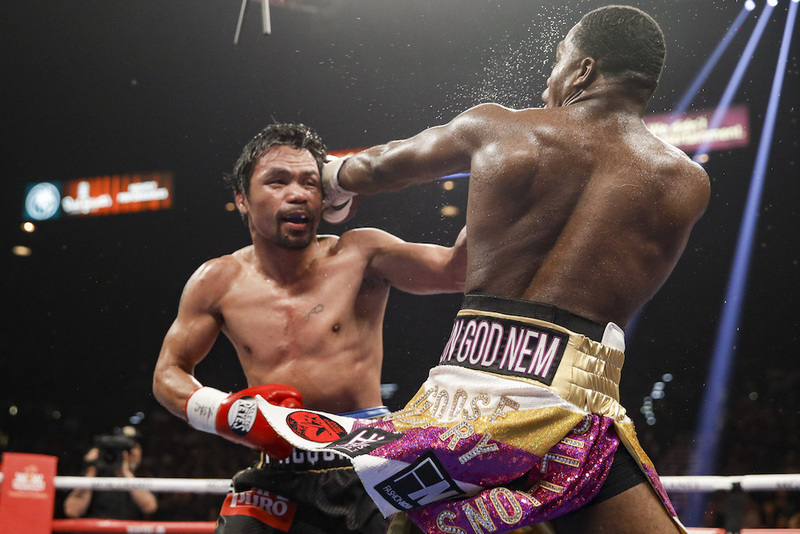 The biggest moment of the fight came in the seventh round, when Pacquiao hurt Broner and unloaded with a flurry of punches along the ropes. While Broner managed to weather the storm, he went into survival mode for the rest of the fight, seemingly content to avoid another exchange with Pacquiao. Final scores were 117-111, 116-112 and 116-112 for Pacquiao. “I proved in my last fight against [Lucas] Matthysse and now I proved it again: The Manny Pacquiao journey will still continue,” Pacquiao said afterward. Asked by Jim Gray about his desire to fight Floyd Mayweather, who was at ringside as one of the promoters, Pacquiao called him out. 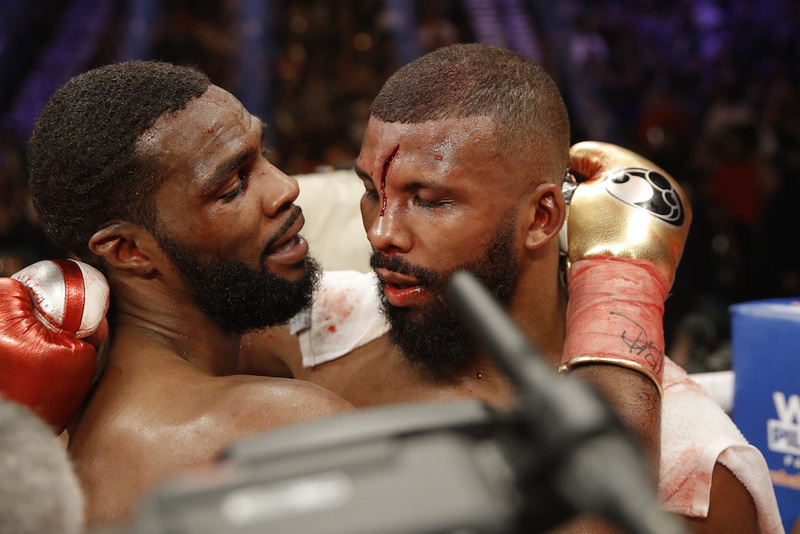 In the co-feature, Marcus Browne (23-0, 16 KOs) defeated Badou Jack (22-2-3, 13 KOs) by unanimous decision with scores of 119-108, 117-110, 116-111. 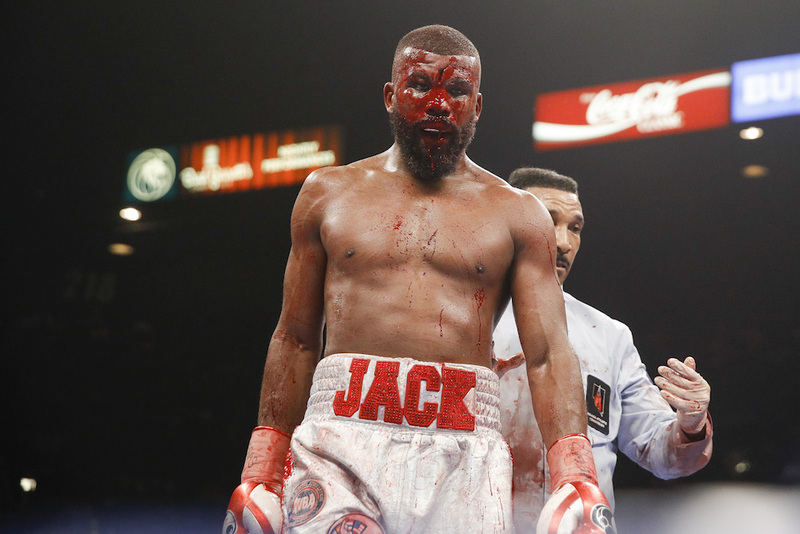 Jack suffered one of the worst-looking cuts seen in a boxing ring after an accidental headbutt in the seventh round opened up a five-inch gash on his forehead. Jack looked slower than usual and Browne took advantage by being aggressive and being more active, throwing 515 total punches to 303 for Jack. Earlier in the night, France’s Nordine Oubaali (15-0, 11 KOs) captured the vacant WBC bantamweight title with a unanimous decision against Rau’shee Warren (16-3, 4 KOs), in what was a rematch of their 2012 Olympic amateur fight. 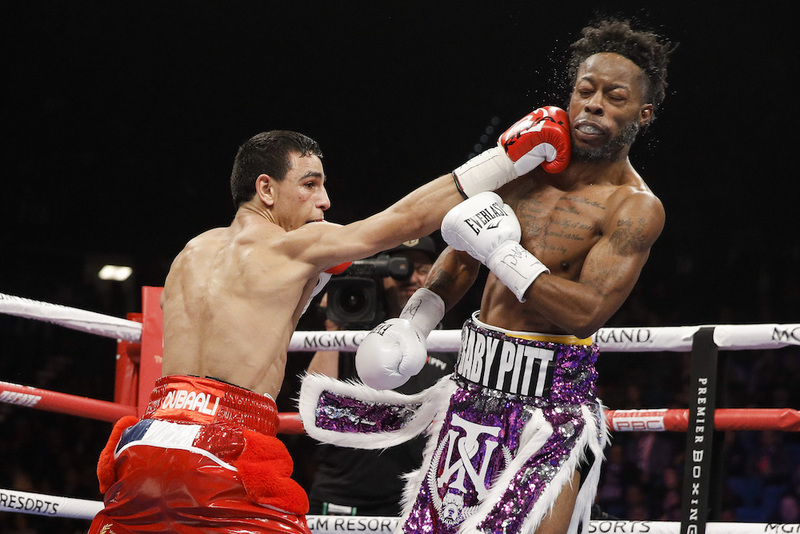 It was a competitive fight between the two until the midway point of the fight, which saw Oubaali begin pulling away by landing the more effective combinations and then hurting Warren in the seventh round. Warren slowed down significantly the rest of the way, as Oubaali outboxed him and kept up his faster pace. The scores were 117-111, 116-112, 115-113, in favor of Oubaali.